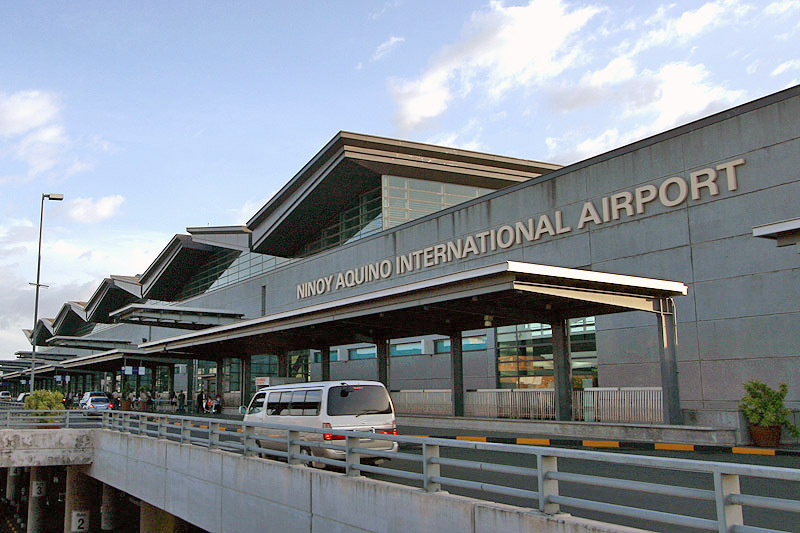 A British man was arrested at Manila’s Ninoy Aquino International Airport after smashing up a bathroom inside terminal two’s exclusion room. Benjamin Hopkins, aged 27, has been charged before the Pasay City Prosecutors Office for malicious mischief, direct assault and “resistance and disobedience to a person of authority” following his rampage today (Saturday, March 23). Reports from the Police Intelligence and Investigation Division of the Airport Police Department stated that Hopkins, from London, was denied entry by Hong Kong immigration officials for being drunk. He was then put on a Philippine Airlines flight to Manila en-route to the UK. According to airline officials, Hopkins was taken to the exclusion room while waiting for his flight to London. While inside he destroyed some accessories inside the toilet, using a mop stick to break a mirror, sink and toilet paper holder. A female security officer then called two airport police officers to pacify Hopkins. However, instead of calming down, he allegedly resisted and assaulted the policemen. He was then arrested and taken to the Pasay City Prosecutors Office to be charged. According to the Manila Bulletin, the British Embassy in Manila has been informed. Hopkins is not the first British man to land in hot water at the NAIA. In August 2015 we reported how Alex John Pagan of Birmingham was deported after refusing to show his passport and attempting to bribe immigration officers to let him into the country regardless. After waving a $100 bill at airport staff and policemen at terminal two, the apparently drunk 39-year-old was taken to the exclusion room while his deportation papers were processed. When the tourist finally sobered up, he appeared at a loss at how he ended up at the exclusion room. He was then placed on a PAL flight bound for Thailand.